Carve out some time for yourself during the holiday rush. all kinds of things for those you love. to making some time for yourself. Ride to clear your head, ride to relax, ride to reinvigorate! See you in the saddle. 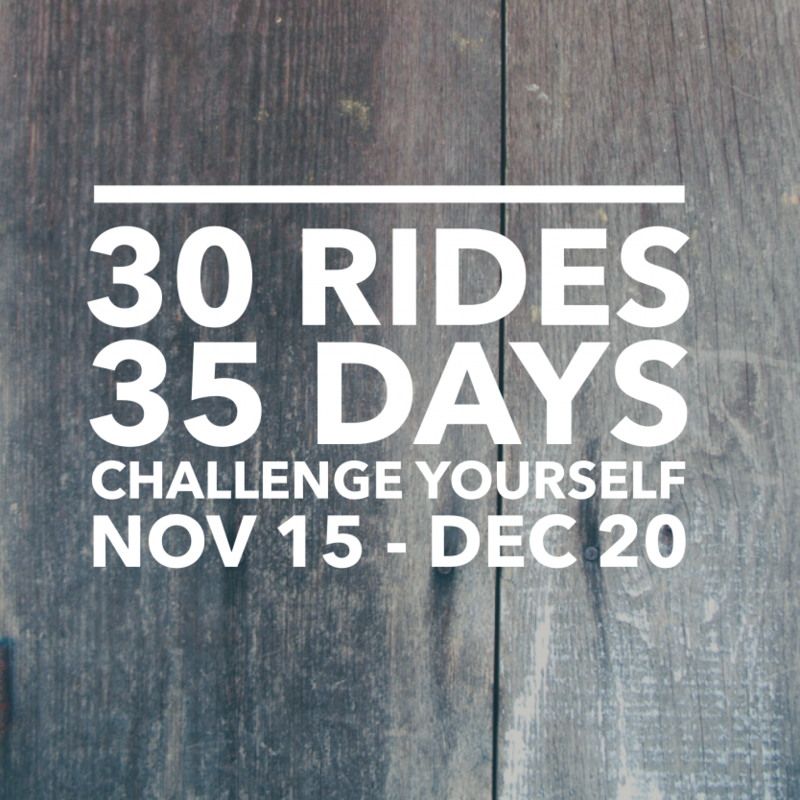 Passes for Ridin’ Thirty can be purchased online now and includes 30 rides and WPG Cycle water bottle. Sign up available until November 18th. We’ll track your progress and everyone who completes the challenge will be entered to win a Grand Prize gift basket with WPG Cycle swag and local goodies from our friends and neighbours in South Osborne. Not ready to Ride Thirty? No worries, we all have to start somewhere. Try our two week unlimited new rider special for just $40.